At first glance, the black Model T box truck – replete with it’s creamy-white “Connecticut – Copperthite Pie Company” lettering – may seem hopelessly out of place. Why would a century-old delivery van be included in Washington, D.C.’s Memorial Day Parade? After all, Memorial Day is a time set aside to commemorate our fallen military heroes. Pies are for the post-parade picnics – a pleasant by-product of the late-spring holiday. It may surprise parade spectators to learn that the pristine Model T – and hundreds of others just like it – actually played an important part in helping the Allied forces win World War I. In this centennial year, as Americans look back at the patriotic privations of the First World War, the history behind the quaint pie truck and its owners is one well worth remembering. 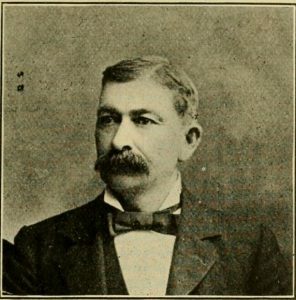 Baking magnate Henry C. Copperthite. “My great-great-grandfather, Henry C. Copperthite, was in the 79th Highlander Scottish troops of the Civil War,” explained Michael J. Copperthite. “He was a wagon driver at age 14 and was stationed at Georgetown College, here in D.C. The 79th participated in the battles of 1st Bull Run, Chantilly, Antietam, and several others. After the war, Henry drove a wagon for Olds Bakery in New Haven, Connecticut. New Haven was where he learned the pie trade and met his bride: Johanna O’Neil. Michael said that even though Henry became a millionaire, he never forgot his humble beginnings as a wagon driver. Nor did he forget his Army friends. “The company was started with Civil War veterans and many of the early employees were men Henry knew from the War. We baked pies – physically as a family – right up through the Vietnam War. Our family has 27 members in Arlington and other National Cemeteries, so we truly are a veterans-based company. “During World War I, nine members of my family – including cousins who worked at the various pie bakeries – went off to war. Only five came back. One of our family members was the first person from the District of Columbia to be killed during the war. He died in the sinking of the Lusitania. Horse-drawn wagons line the street in front of Georgetown’s Connecticut Pie Company. Michael laughed when he recalled why Henry chose to name his Georgetown-based bakery the Connecticut Pie Company. 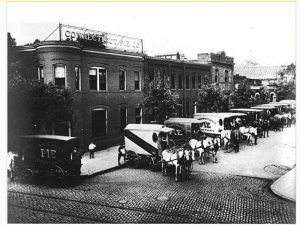 That profit margin helped the company grow and brought Henry Copperthite into the national spotlight. 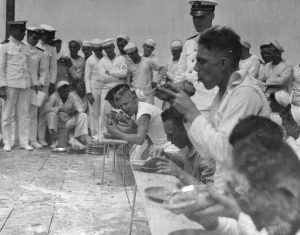 Sailors aboard the USS Maryland engaged in a pie-eating contest. Michael said that, along with baking pies, the company also provided hard tack for the troops in the field. 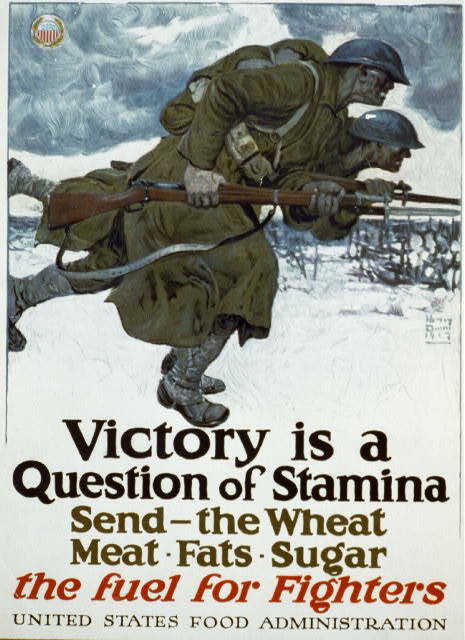 Then there was the grain and other food-stuffs the U.S. sent overseas to feed war-weary Europeans, both during the hostilities and after the armistice. It is often forgotten that farmers, bakers, and businessmen, like the Copperthites, were crucial links in that life-saving chain. Michael said his family has always been proud of its many contributions to the war efforts – from the American Civil War to the conflict in Vietnam. He even has pictures of Doughboys and Bluejackets (sailors) eating pies while headed abroad – a taste of home which was undoubtedly delivered to docked transports in trucks like his classic Model T Ford. “The truck I will be driving on Monday was in the very first World War I Memorial Day Parade. Of course, we had hundreds of those delivery trucks. I have an article from a newspaper of the day about a parade in 1919. You have the military review, the veterans review, and then you had the city’s commercial enterprises in the back. “Anyway, the truck is mostly original. We did modernize it with a 1919 bell housing. I mean, who wants to be stuck on I-95, hand-cranking a truck that has stalled in traffic? So yes, it has a 1919-style electric starter.